Show some love, care and attention by sending a gift hamper this Mother's Day. Standing out from your commercial competition is vital. show your creativity and what great people you'd be to do business with. At Hip Hampers we know all about the art of great gifting. It’s about matching the sentiment to the gift to show how much you care. It’s about the delight of your recipient. And how good that makes you feel. It’s feel good gifting – for everyone! Jane and her team at Hip Hampers have provided outstanding service on a consistent basis. They are able to provide a wide range of gifts for any occasion for my clients in a timely and cost effective manner. I always receive feedback from my customers who receive the gifts on both the quality and great presentation of the gift. I would strongly recommend Hip Hampers as your preferred gift provider. I have been using Hip Hampers for approximately 3 past three years. It has been a very pleasant experience working with Hip Hampers over that period both from a professional and personal point of view. I am often unsure of what type of gift to send a client and I have found Jane and Amanda will spend time discussing the type of client and always coming up with the perfect gift. I call it the “personal touch”. I have also received very positive feedback from clients who have received a gift from Hip Hampers. If you are looking for a Company who goes “above and beyond” I would suggest calling Hip Hampers. Hip Hampers are the benchmark for quality product and service. I have been extremely pleased with the hampers sent to my clients, they are impressive and resonate quality and thoughtfulness and have been superbly tailored to the clients in question. I have no hesitancy in recommending Hip Hampers to anyone who is looking to provide a meaningful gift, corporate or otherwise. 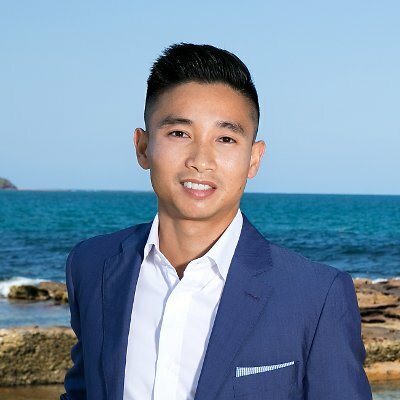 "I use corporate gifts as part of my sales and marketing strategy, as it enables me to foster and build a personal relationship with my key clients. Hip Hampers understand that an effective gift strategy is more than just the gift. What's more, they really create a wow with my clients"
"We love Hip Hampers! Jane & Amanda are always coming up with the freshest & beautiful ideas - nothing is ever too hard and their hampers look AMAZING!" 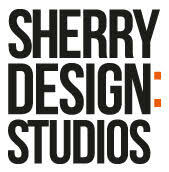 "just wanted to mention our satisfaction with the service and quality of your product that you’ve provided our company. As you know, there is a myriad of people trying to do what you are doing, but no one is doing it nearly as well. The professionalism of marketing and speed of service etc. is unsurpassed. We really appreciate your input and look forward to doing more business with you in the future." "Hip Hampers are such a delight to work with. We have had the pleasure of sending Hip Hamper gifts to our valued clients and always receive such fabulous feedback! The whole process is so easy and Jane & Amanda are a delight to deal with. We look forward to sending Hip Hampers again in the near future." "Being a referral driven business Hip Hampers are a core part of my client engagement and retention strategy. 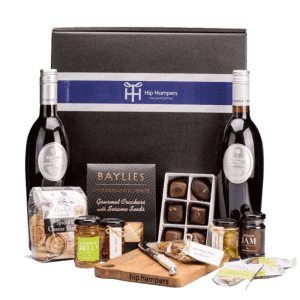 They assist in finding the best solution for my clients and are creative, accessible and deliver on time – and their hampers are a real hit with the clients! " “Hip Hampers did a fantastic job at fairly quick notice providing beautifully boxed and branded gift hampers for attendees at our National Conference. I found Jane and her team very responsive to our needs and extremely professional. Would recommend their services to anyone wanting to provide a customer, business referrer or staff a great WOW moment”. "Have been using Hip Hampers for the past 2 years and would like to thank you for putting our hampers together, they where perfect and complimented our organisation, everyone commented on the great hampers on how well they where presented." "Winning the right to do business with a new or existing client is something we never take for granted and we want our clients to do know that. So we drop the team at Hip Hampers a line and then shortly after we get a phone call from our client expressing their thanks and gratitude! HIGHLY recommend Hip Hampers if you want to make an impression"
"Hip Hampers truly understand the value and impact of fostering good will, through thoughtful and appropriate gift giving. They excel at promoting quality business relationships and have mastered the art of combining marketing and showing appreciation. Hip Hampers have become a regular part of our business process and it’s one of the best decisions we’ve made." "I have used Hip Hampers on many occasions and my clients are always thrilled. Jane really thinks outside the “hamper” and often comes up with gifts that aren’t your traditional hamper!" Jane has taught me that letting a business associate know that you appreciate them is one of the most important ways of strengthening your most valuable sales funnel - your referral network. "The range from Hip Hampers have been thoughtfully and creatively put together, not to mention beautifully packaged! We will continue to send Hip Hampers to our clients as our clients are delighted by receiving them." 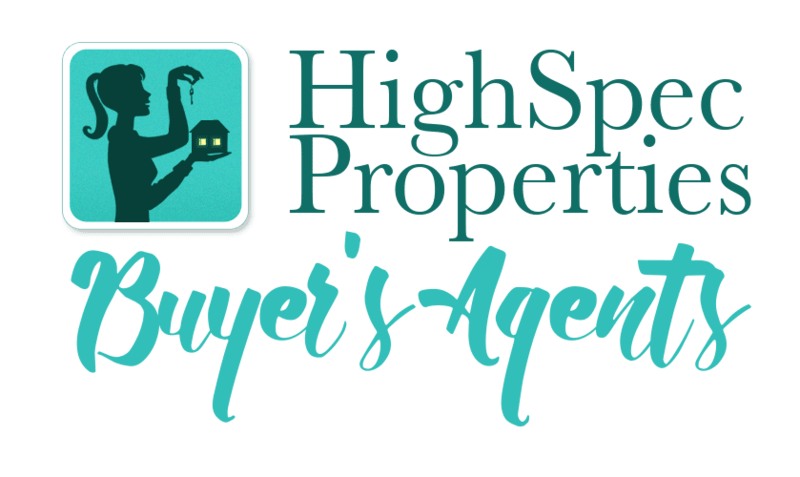 As property buyers agents we work hard to achieve the best results for our clients and there is no better way to thank them for their trust in us than sending them a Hip Hamper after a successful purchase. Hip Hampers are a seamless extension of our business when it comes thanking our clients. From their advice with appropriate gifts to the ease of ordering and speed of delivery, the whole process is super efficient and easy, which is just what we need. I receive so many thank you calls and notes from clients after they receive their Hip Hamper, which speaks for itself. I thoroughly recommend Hip Hampers to any business looking to thank their clients. We have chosen to use Jane and HIP HAMPERS for our branded customer gifts. The service and follow up from Jane and the team has been exceptional. Jane shared her experience and expertise in the design of our branded banners and candles. 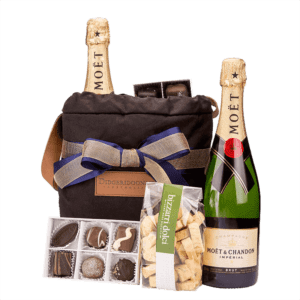 A simple order to Hip Hampers ensures our clients receive our chosen gift in a timely and professional manner which has generated numerous compliments and calls of appreciation from our customers. "You have totally revolutionised gift giving within our business! Gone are the days of a bottle grog of in a bag, so generic and unthoughtful! Since bringing Hip Hampers on-board we have noticed a significant increase in the positive responses and thank you’s received back from clients that receive our gifts. 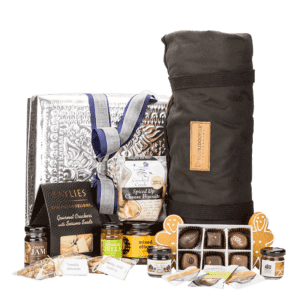 I can attribute this to the level of thought that is put into each gift by the ladies at hip hampers, they always make sure that the hamper suits the intended recipient and is full of goodies not easily sourced from mainstream suppliers increasing the appeal of the hamper. 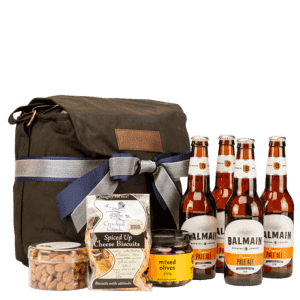 I would not hesitate recommending Hip hampers to anyone looking to leave a lasting impression on their clients and looking to partner with a gift company that truly understands the need to deliver ROI when it comes to corporate gift giving."